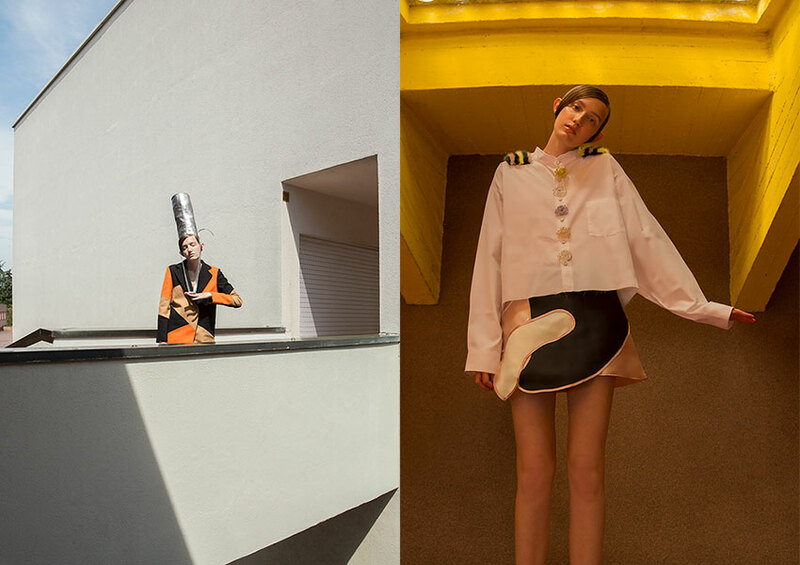 Fashion Story: Wonder Where We Land. 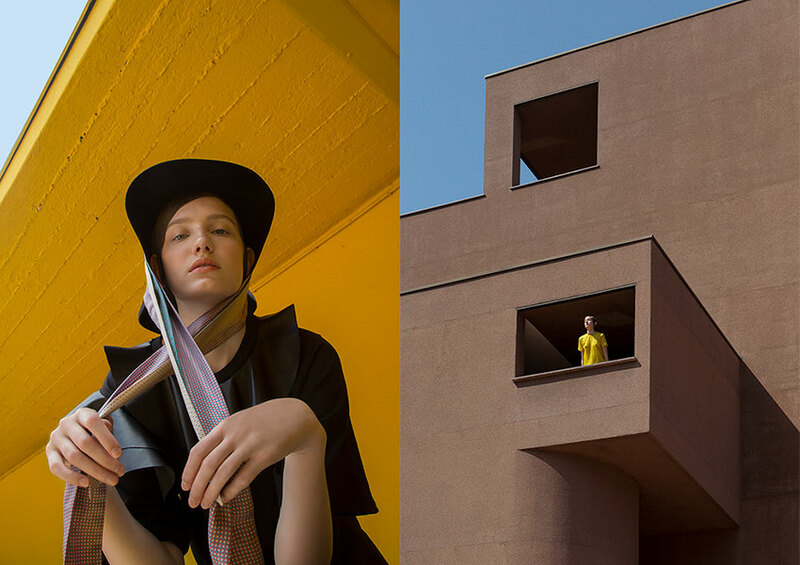 Photography by Clara Melchiorre and fashion by Caterina Ceciliani. Bag as hat by Trakatan and coat by Doris S. Shirt by Alberto Zambelli and skirt by Domenico Ciof. Dress by Paolo Errico, earrings by Sharra Pagano and shoes by Melissa. Total look by Angelos Frentzos, ceramic bow tie by Cor Sine Labe Doli and boots by Premiata. Twillies by Abstract, t-shirt by Doris S and hat stylist’s own. T-shirt by Angelos Frentzos. Top by Cristiano Burani, body by Individuals, bracelet by Sharra Pagano and boots by Premiata. Dress by Paolo Errico and ring by Sharra Pagano. Bra by Individuals, pants by Alberto Zambelli and rings by Sharra Pagano. Dress Domenico Ciof and shoes by Julie Dee vintage. 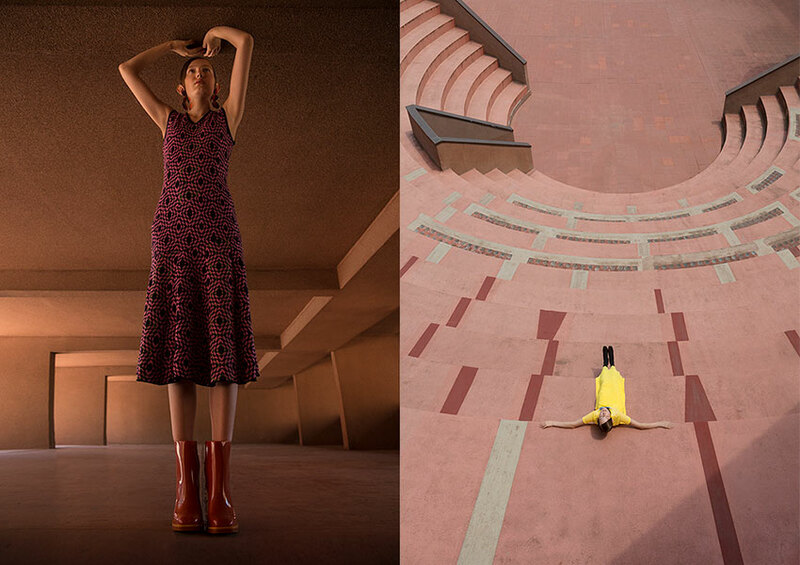 Photography by Clara Melchiorre, fashion by Caterina Ceciliani, hair and make up by Lisa Lionello and modeling by Anna Sikorska@MPManagement. Creative info: Clara Melchiorre.